U.S. astronaut Nick Hague and Russian cosmonaut Aleksey Ovchinin were forced to make an emergency landing after the incident on Thursday, but were rescued without injury in Kazakhstan. 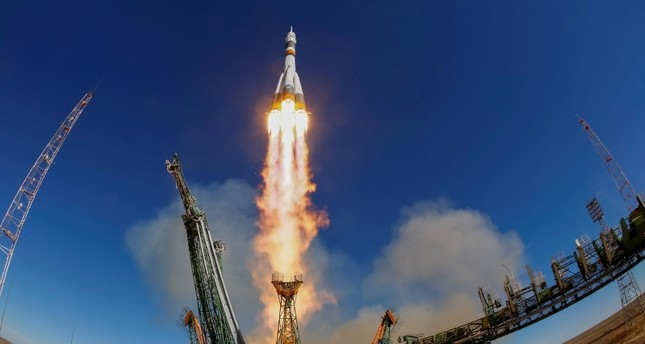 Meanwhile, the head of Russia's space agency Dmitry Rogozin said that two astronauts who survived the mid-air failure of a Russian rocket would fly again and would provisionally travel to the International Space Station (ISS) in spring of next year. "Shortly after launch, there was an anomaly with the booster and the launch ascent was aborted, resulting in a ballistic landing of the spacecraft," the U.S. space agency said in a statement. The hole was detected in August and quickly sealed up, but Russian newspapers said Roscosmos was probing the possibility that U.S. crewmates had sabotaged the space station to get a sick colleague sent back home.